Fishing on Dalguise, on the middle Tay, stout tackle will be required in spring and autumn, or even in summer if there happens to be a flood. Fly fishing in the spring or autumn 15-18ft rods will be required coupled with fast sinking lines, but bring the sink tip just in case of a mild dry day. Weight forward or even shooting heads can be worth bringing, as a longer cast may make all the difference, the Ghillie will advise on the day. 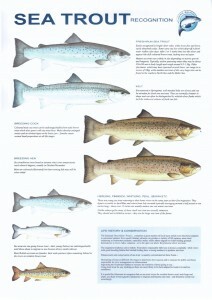 Many anglers opt to spin in high water. So, a good 10ft spinning rod will be required with a large capacity fixed spool reel or even a multiplier with 15lb line. Popular baits for bank fishing include devon minnows, especially wooden ‘floating’ Devon’s fished with a lead weight, toby salmis (between 18g and 30g), blair spoons and Flying C’s. For harling from the boat the Ghillie will supply you with rods and the appropriate plugs. 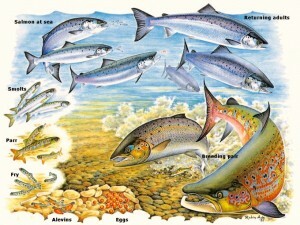 In summer on Dalguise a 15ft fly rod will still be necessary with floating line or sink tip. The Dalguise beat can require some wading, so bring chest waders. You are advised to wear an inflatable lifejacket for safety, whether fishing from a boat, the bank or wading. Dalguise will supply you with one. A strong wading stick will also aid safe wading, but ensure it has a rubber cap on the end to minimise disturbance. Again fly choice will depend on the time of year. In the spring and autumn weighted tube flies may be required, but if the water is low flies tied on larger doubles or trebles will be sufficient. In summer bring doubles and trebles down to a size 10. A long tail is guaranteed to produce many a longer tale! Stan the Ghillie will be happy to advise on the most appropriate patterns, but for starters favourite Salmon Flies include the Ally Shrimp, Gary Dog, Cascade and Willie Gunn. 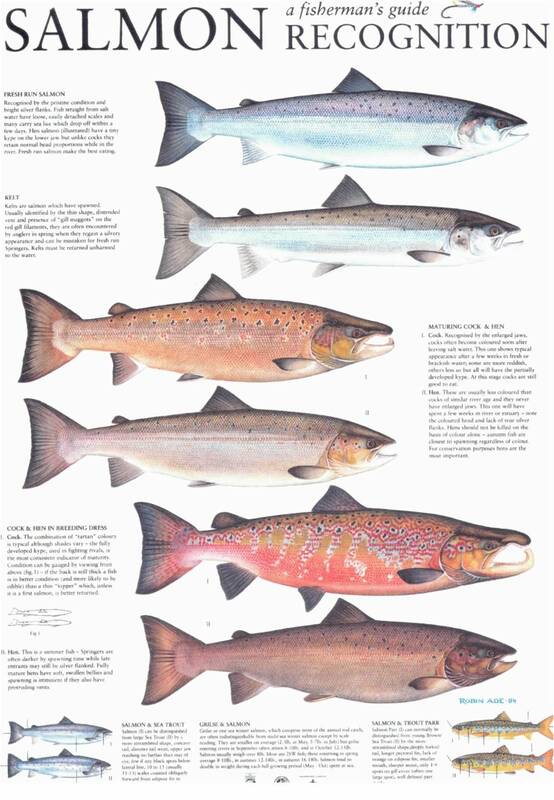 The most commonly used on the river are double-handed fly rods, and the sizes range from 15 or 16 foot rods in the early spring down to 12 footers in the height of summer when fine and far off are the tactics for catching fish and stealth is required. Fly rods should have their joints taped up to ensure they don’t work loose during your day’s fishing as the joints can snap due to casting stresses being applied when least expected. 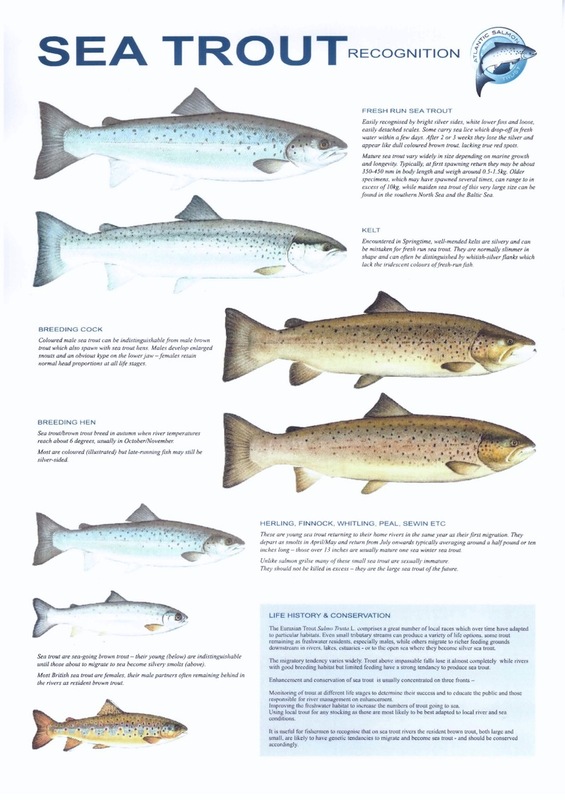 Please contact the Ghillie prior to your fishing trip for more detailed advice on conditions, water height & tackle advice. 07767 490381. Tackle hire can be arranged with prior notice. 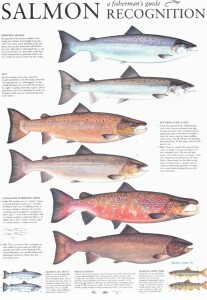 Prints of The Salmon Recognition Chart and Salmon Life Cycle are available through The Atlantic Salmon Trust.